Big Data Analysis is not an innovation, it is the need for the present and the future. It helps organizations manage, analyze, and harness their data for identifying new opportunities. Big Data is present almost everywhere nowadays! It is important to preserve the data that is generated and nothing should not be missed out. There is a huge demand for big data analysts in the market. 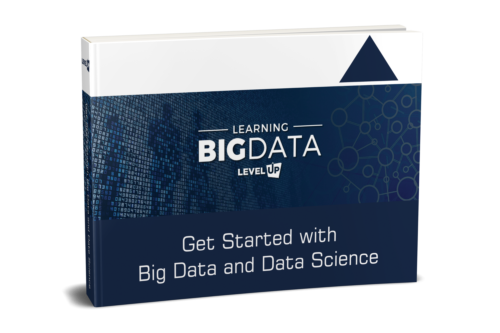 So get started with a career in Big Data with this course. What is covered in this Big Data and Data Science PDF Tutorial book? Different Roles in Data Science. Data Scientist vs. Data Engineer. How does One Transit Career from Software Engineer to Data Science? Big Data is making it pretty “BIG” in the IT Sector. Big Data is simply everywhere! James’s Big Data PDF book is interesting and easy. The concepts of Big Data are explained in the best possible way. Thank you for this amazing book. Big Data is present almost everywhere nowadays and it is utmost important to preserve the data that is generated so something should not be missed out. Big Data means a huge amount of data that is difficult to process and store obviously. This data can’t even fit into the memory and traditional data processing application software are not able to deal with it. Big Data refers to structured and unstructured both data that a company or organization generates. This data has the potential to be mined and evaluated to get any type of information that is required. Big Data is coming from heterogeneous sources such as media, business apps, public web, machine log data, sensor data, social media and archives (including scanned documents, statements, insurance forms, and print stream files). Today, Big Data has intrinsic value but it is of no use if that value is not discovered. Organizations are marking outlines of their goals and missions according to the wishes of their customers. From that huge amount of data which a company captures and generates, only beneficial information is picked that can be categorized and evaluated later. Here appears the need for data science. Data science is exploratory and useful in getting to know about the Big Data. This field consists of scientific methods, systems and processes to extract knowledge and information from data (either present in structured or unstructured form). Data science involves complex Mathematics, statistics, Machine Learning, algorithms, Internet of Things and data analysis in it. Many years back, the earlier records of using data were found to track and control the businesses to get an advantage of innovations, creativity, and to create a financial lead. Models and methods for data. Big Data and Data Science is an evergreen field. It is one such field that will never go old. I was a developer for more than 5 years. James Big Data PDF book helped me understand the basics. The specialty of this book is that it simplifies Big Data. Thank you for this book James! The emergence of Big Data has changed everything. As Big Data is present everywhere, why not to get advantage from it instead of wasting it? Digital landscape and organizational operations have been changed altogether as Big Data evolved. With this new trend, technologies are getting polished day by day. Power of Big Data is finding useful patterns from vast data that have predictive values. improved it by further helping in the identification of data features. Automation of Big Data has helped many organizations and businesses to improve operational costs and efficiency, self-services module and scalability of technologies(related to Big Data obviously). For the understanding of any amount of Big Data, it would take a few weeks to process and analyze it, although it depends on the technology used as well. Why is automation necessary? It provides integrated platform for tools and technologies to run IT related tasks (for example designing, building and operating), amending Big Data infrastructure and to speed up those tough tasks that can’t be automated. In the technology industry, it is a part that is dedicated to ADI (automated data integration). It is a new way of thinking and deploying in the commercial atmosphere and environment. It focuses on ingenuity to get rewards from internal customers. Yes, it is true that data is of huge size so its size varies from time to time. There would be a different amount of data for different time periods. For this, there should be the categorization of Big Data analytics into such portions or segments that it would be easy to label the data and its separation according to different time portions. The feature of recognition of data also addresses in it. In a predictive analysis of Big Data, time is actually reduced by automation so such a robust language is needed that can make prediction problem identification an easier task. A tailored framework is there which works with diverse specifications of data and data labeling. With automation, we can move from IT’s old need—or necessity—to control everything to empowering both business and IT people to each do what they do best. Business defines what data is needed and how it should be analyzed iteratively, with IT capturing the business needs and applying quality and production values in flight.